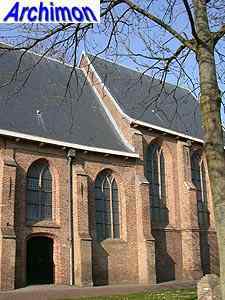 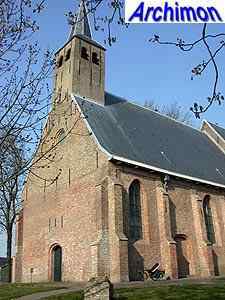 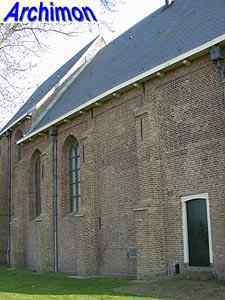 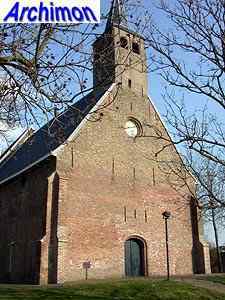 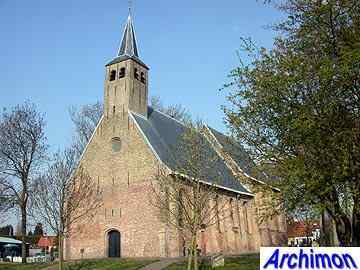 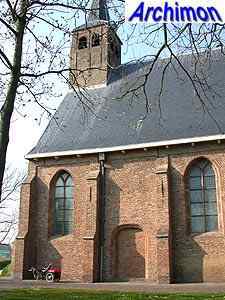 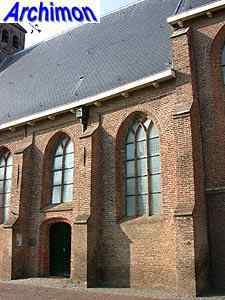 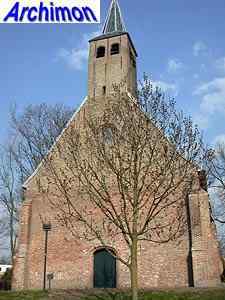 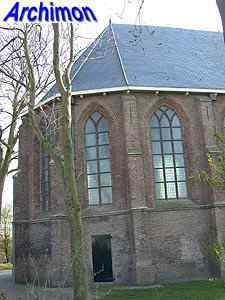 The old church of Zwartewaal is a one-aisled building in Gothic style, built on top of a man-made hill. 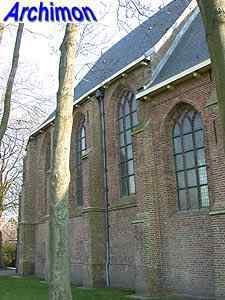 Both the nave and the choir date from the 15th century. 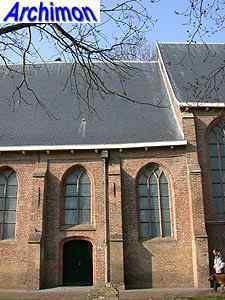 The choir is slightly higher than the nave. 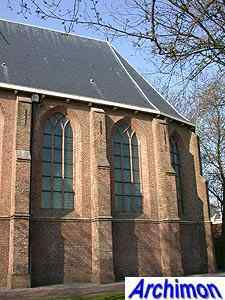 Both are supported by stepped buttresses. 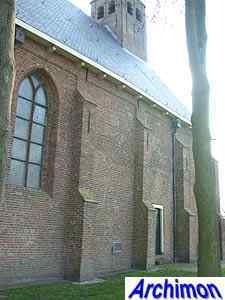 The south wall of the nave has two original entrances, one of which is closed with bricks. 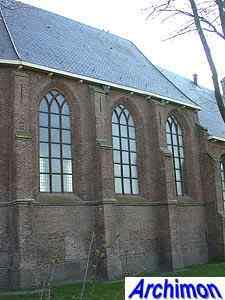 The north wall of the nave only has two windows in the eastern traves while the western part is blind apart from a more recent entrance. 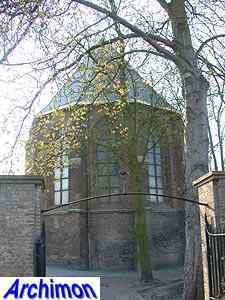 Apart from a small circular window and yet another entrance the facade is blind as well, which could indicate that a tower was planned in front of it. 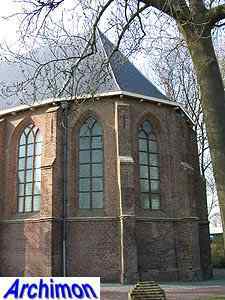 If so, this tower was never built. 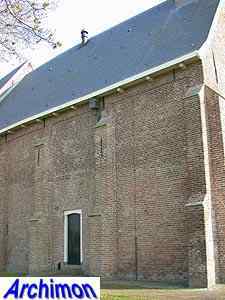 Instead a slim tower was added in 1597, which is completely closed in.